The Wellington has recently been nominated for the 2015 Hamilton Community News - Readers Choice Awards for Best Retirement Residence and Best Long Term Care Service!! 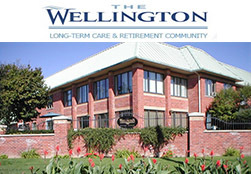 The Wellington Long Term Care & Retirement Community is a premier Hamilton retirement community on the Hamilton Mountain. Offering the best in independent living for seniors in Hamilton, The Wellington senior retirement residence provides a welcoming, secure and optimal retirement living destination for seniors. If you are looking for seniors housing in the Hamilton area, the senior apartments found at The Wellington offer flexibility and comfort.